Engineering companies have invested in computer-aided design (CAD) software since at least the 1970s. The software’s use has since led to better industrial designs, improved documentation, and more efficient manufacturing systems. Therefore, it shouldn’t be surprising to learn that the software proves vital in today’s petrochemical industry and its design of offshore structures like floating production storage and offloading (FPSO) vessels, gravity-based platforms, and floating platforms. This applies to both the structures below deck and on the topside. While 3D design software used for this type of design offers many benefits to the company using it, the software must meet several requirements. First, it must be flexible in its design and use by allowing engineers to make quick decisions early on about a structural design and the critical assessments leading to viable alternatives. The software must also be modular and extensible to cover a wide variety of necessary capabilities (e.g., modeling, analysis, and data management), depending on the project scope. Finally, any structural and topside design software must be stable, fast, and interface reliably with other systems. Linking CAD and enterprise resource management (ERM) software with each other ensures tighter, more efficient collaboration across multiple operating units of the business. Interfacing separate CAD systems also allows for the import of models and geometries across software suites, ensuring efficient design and collaboration across multiple disciplines. Numerous design requirements must also be met using the software. A popular example is finite element analysis (FEA), which breaks down an object’s engineering design into finite elements that can be analyzed for a variety of properties, painting a clearer picture of the object’s functionality and the interrelating behaviors between its elements. Fatigue strength must also be analyzed in designs with software assessments considering topside support loads and stress concentrations at the deck level. 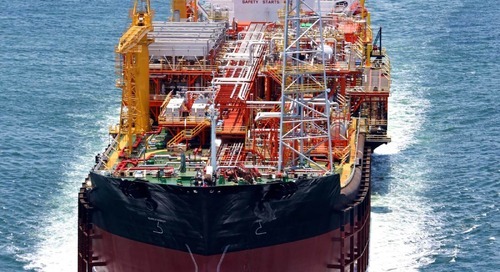 Software tools like AVEVA’s PDMS and Intergraph’s PDS have allowed Audubon Engineering Solutions and other engineering companies to do these design tasks and much more for not only FPSOs but a wide variety of offshore platforms and topsides. When combined with coordinated multidisciplinary planning and implementation, design teams using these types of tools will lead the march towards more efficient and cost-effective offshore solutions in the twenty-first century.